Over the past couple of decades, advances in technology have significantly changed the way businesses are run. As a positive result, employees have increased their productivity as they are able to do more with their available time. On the other hand, with the various ways of receiving data now, an enormous amount has been and is currently being collected which has exponentially increased the time required to manage it. Putting an effective document management system in place has become crucial to ensure successful business operations. 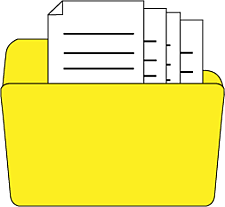 Employees must understand how and where to store important files and project information to keep business running smoothly. Now with Deltek Project Information Management (PIM), formally known as Union Square, firms have a powerful tool for document management that integrates with Deltek Vision. Here are some core capabilities that support best practices for document management. Deltek PIM provides firms the power to assign the proper permissions and restrictions to protect your firm’s data. Documents include everything from your finished products to confidential HR records. Without a comprehensive policy and system in place, everything can be at risk. Consistent naming conventions are critical, especially in the Architectural and Engineering Industry. If not followed, having standards in place is useless. Deltek PIM ensures consistent file names by preventing users from creating their own file names independently. Although pre-defined terminology is a great feature, your company also has the option to customize the naming scheme to suit your conventions and even include date stamps that make chronological file searches possible. The template library allows firms to maintain a set of company standard templates that are version managed, controlled and accessible by operational staff. This ensures consistent formatting of documents regardless of which staff member creates the document. A key thing to remember when creating a new document is everyone has to have access to those templates to ensure compliance with company standards. Additionally, templates in Deltek PIM automatically include the metadata for the document type and key information with limited access to changing this information. With all of the liability concerns, document auditing is a critical feature for all document management systems. The audit trail must be able to account for each version of the file, who created it, and who downloaded the document. In addition, Deltek PIM keeps all deleted documents in a separate location, ensuring no critical data is ever completely lost. Furthermore, based on the requirements of your state and/or areas of work, the audit trail will remain intact for the required term. Deltek PIM provides a project-wide document numbering system to prevent duplicate document numbers within the same project. It also provides a consistent revision coding system and sequential coding of revisions for the life of the documents. Even more, an automated tracking of who is responsible for each version and who has reviewed it allows for complete insight into the version history of documents. Aside from taking up storage space, duplicate files make searching for what you need significantly more time consuming. Keith Pickavance in his work, Delay & Disruption in Construction Contracts notes “It’s not uncommon for a large project to produce millions of pages of documents, of which only 5,000 are critical.” A system that automatically finds and eliminates duplicate documents becomes more and more important as the project size increases. With email communication, often there are many copies of the same email. Each copy could be filed by a different staff member into a different location. A system that locates and deletes those duplicates while tagging the primary email with proper metadata for searching can considerably decrease duplications and increase the ease of search-ability. The core benefit of Deltek PIM is the integration of the project opportunity and project management that creates a link with everything from document management to contacts. The central hub for creating an opportunity is in Deltek Vision, and being able link it to a specific project allows for everything related to the project to be stored and viewed in one location. By clicking on a contact, you can easily see the projects they’re associated with and what actions they have. This convenient access allows employees to quickly find and view critical project documents to allow them to do more!